To help raise awareness of the many great gifts for history lovers available from historic sites, history museums, historical societies, and artisans across the country, we are going creating The History Gift List for 2015 (TheHistoryList.com/gifts) and promote it on social media. We're looking for unique items. For an artisan, things that are made by hand. For an author, signed or inscribed editions. For a gift shop at a museum, historic site, or historical society, an item that is only available there. To have yours considered, send an e-mail message with a link to the item. Make sure the link includes a photo and description, as well as the ability to buy it online. Also include the “order by” date to ensure Christmas delivery anywhere in the country. If you have a very limited quantity, note that, too. 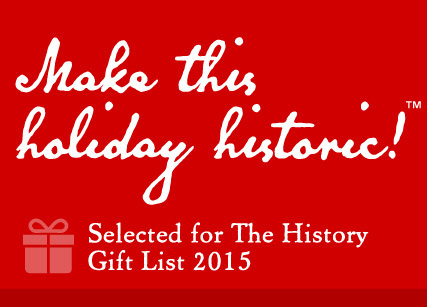 Send this information in and put "The History Gift List for 2015" in the subject line. Note that we'll link to your site. You keep all the revenue; we're just trying to help get the word out. As we get close to the Christmas, we’ll promote things that can be downloaded or ordered overnight, so include those details if they are apply to your item. And what's the best really-last-minute gift? A gift membership. 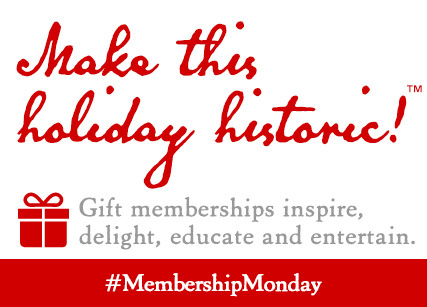 Let's start a new tradition: #MembershipMonday on the Monday of the week of Christmas. We'll make it the day to promote giving gift memberships and to market and promote them creatively. 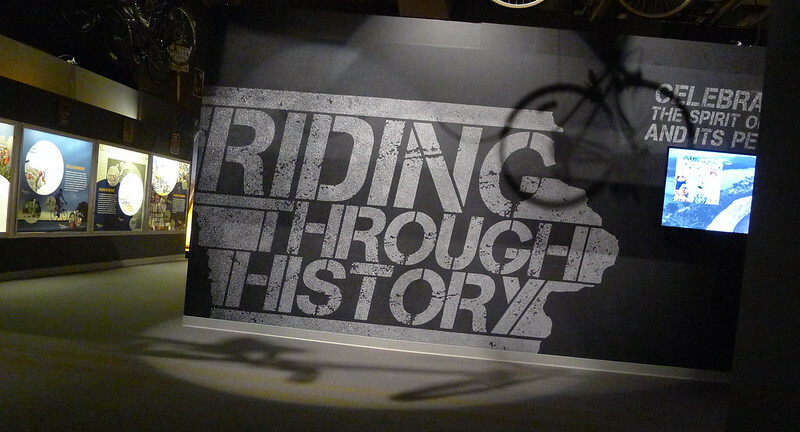 This Resources post has several ideas for marketing gift memberships, including examples of the way several different types of history organizations market their gift memberships. We've added a special #MembershipMonday marketing bundle you can download. It includes JPGs, such as the one on the right, that you can use in any of your materials, as well as PDFs you can print out and use as tabletop signs. 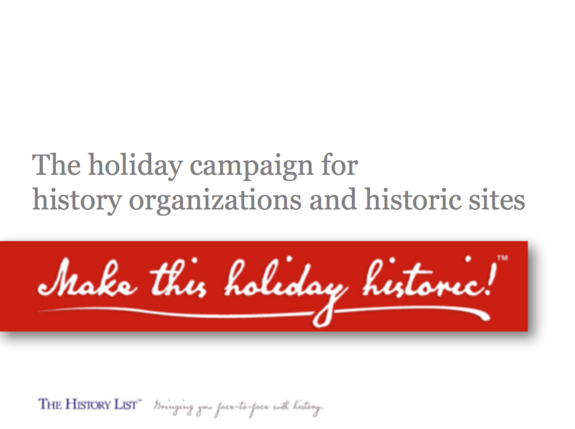 More information on the overall campaign is on the "Make this holiday historic!" campaign page, including a link to download additional marketing material, as well as market research. The announcement of a new initiative, Open Lab Workshop, focused on GLAM (galleries, libraries, museums, and archives) that is being led by Michael Edson at the National Endowment for the Humanities, who showed such leadership on many of these issues in his previous post at the Smithsonian, got me thinking about this presentation, which I gave at an O'Reilly Ignite series at the MIT Media Lab three and a half years ago. Unfortunately, my observations in this talk are just as relevant today as they were in the spring of 2012. The organization is hosting an unconference and Ignite talks on December 1 in Washington, followed by an invitation-only meeting that is no longer accepting participants. It will be interesting to see what comes out of their effort. This is the list on the site today. It doesn't appear that the National Council on Public History, the American Association for State and Local History, and the Association for Living History, Farm and Agricultural Museums are involved, or that individuals from those organizations are attending. The Openlab Workshop is funded by the National Endowment for the Humanities Office of Digital Humanities and Division of Public Programs in a cooperative agreement with The Council on Library and Information Resources. Event marketing and tools, research, and case studies to attract and retain visitors and members to historical societies, historic sites, and history museums, including getting started with The History List, participating on the new weekly statewide guides to history events, taking advantage of the campaign for history at the holidays, website tools and insights, social tools and insights, advertising tracking, and more. Subscribe to Marketing Tips for Historic Sites and History Organizations, a newsletter that comes out a few times a year, for more resources. 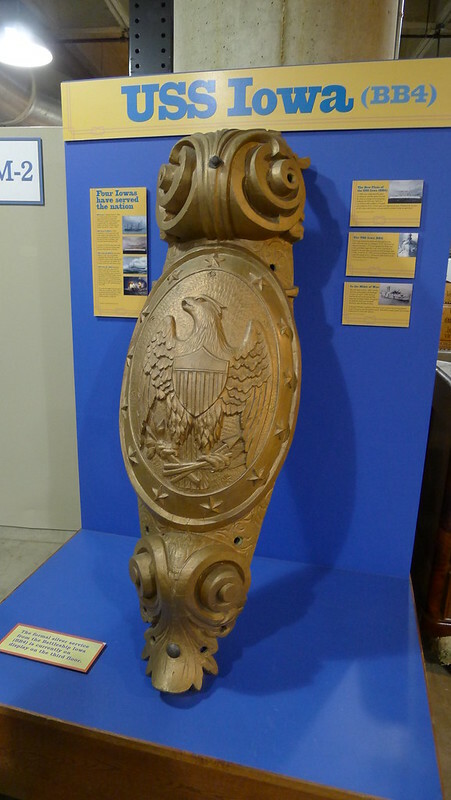 TheHistoryList.com/resources contains links to dozens of free tools, case studies, and other resources specifically for marketing historic sites, organizations, events, and exhibits. 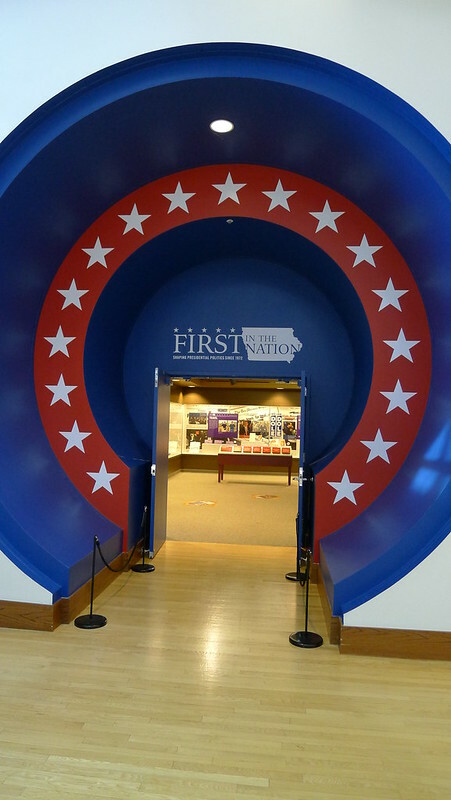 The presentation below was given at History Camp Iowa on November 14, 2015 at the State Historical Museum of Iowa.